I’ve had lots of inquiries about my last blog post, and lots of owners have asked specifically what provisions they should avoid to ensure healthy competition on their JOC Consultant RFPs. So, inspired by the Do and Don’t section of a popular fashion magazine, here’s my version for the Job Order Contracting world. All of these contract provisions come from actual RFPs in my files. Names have been changed to protect the innocent. “Bidders may propose their own unit price books, propose to create their own books, or propose the use of unit price books from a third party source, or combination of any of the foregoing. Tasks and prices in unit price book(s) must reflect the local prevailing and other wage requirements of applicable local laws. Books must be updated at least annually. Premiums for restricted area (e.g. prison, airport, courthouse) work and after-hours work will need to be included in the books, or otherwise provided for. The Unit Price Book must contain material, equipment and labor costs for various units of construction, and a mechanism for adjusting these costs to current market conditions. Why: Because there are a limited number of Unit Price Books, this is the place where constrictive language can literally result in NO competition. Price books have in recent years come in two versions—a national pricing book that uses a researched city cost index to adjust costs for a local market, and customized books which assimilate localized research into the deliverable, physical price book. The lines are blurring since current software products automatically apply the city cost index, and line item customization has been introduced to national pricing books to meet specialized client needs. But language barring the use of factors to localize prices can still limit responses to your RFP. A much better approach is to request information in the RFP that helps you understand the methodology and research that goes into creating the UPB, and then evaluating the merits of the deliverable based on that information. The Contract will be set up on a task order basis, using the prices, licensing fees, and rates established in the Pricing Response Form. Individual tasks will be authorized in advance by [owner] along with an agreed upon scope of work, budget, and schedule. Pricing flexibility to accommodate the possible desire on the part of [owner] to perform some services more economically with agency in-house staff or other Consultants will also be weighed. [Owner] may request clarifying pricing information after the proposals have been submitted in order to make fair comparisons between the proposals. Why: This is another place where the options tend to be mutually exclusive, so if you want to evaluate multiple options, you need to build some flexibility into your pricing portion of the RFP. Pricing goes to the heart of strategic planning for your JOC, and what level of outsourcing vs. internal management and control you desire. You may not have full clarity on those decisions until you have your consultant on board so a menu of pricing options can be appealing. One effective approach I have seen recently is to carefully outline all acceptable pricing structures and populate the pricing form with all of them. Then, an offeror can fill out the pricing structure they desire, and zero out the others. Such a flexible pricing form might include a % of volume, burdened hourly rates with estimated hours, or lump sum figures for scope of services. We’ll play with some possible structures in a future posting. While evaluating mutiple RFPs with different pricing structures can be challenging, as owners develop lifecycle costing capabilities these can be applied to JOC programs. Why: The former provision is not a typical pricing scenario in the software industry. Typically software is paid for as a perpetual license with additional fees for maintenance, support, upgrades, etc., or on an annual subscription basis which includes the above ongoing services. Most software is priced on a per-user or per concurrent-user basis. To have the maximum number of options presented in the RFP process, an owner really needs to allow the most common software pricing structures. Microsoft Excel wouldn’t be a viable competitor if you wrote the first clause into an RFP for spreadsheet software! Regarding internet access, virtually any software can be hosted in the cloud to provide internet-based service, but there may be advantages to having software installed on your own servers and network. The more open-ended language on requirements for a JOC electronic support system will allow you to consider a variety of licensing and pricing approaches. Why: Just as you would not prohibit a general contractor from subcontracting specialty work if it was more effective or efficient, you don’t want to constrain a consultant’s means and methods. You want the most knowledgeable, efficient and professional resources working on your project. Some providers do everything in house, some work with partners to provide domain expertise for the full scope of services. You do want to have a clear idea of how the work will be accomplished, who is doing what, and how quality control will be managed, but don’t prohibit partnering approaches that may meet your needs without having a clear reason for doing so. Are there any other JOC Consultant or JOC System provisions that have tripped you up or led to lack of competition? 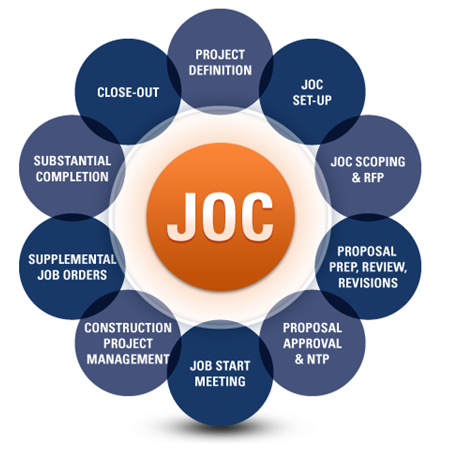 via http://www.4clicks.com – Premier cost estimating and project management software solutions for job order contacting – JOC, SATOC, IDIQ, SABER, MATOC, MACC, POCA, BOA, and more. What is Job Order Contracting? What is IDIQ? Indefinite delivery/indefinite quantity (IDIQ) contracts has been a useful tool in federal government acquisition for many years. IDIQ contracts had historically been used only as single award contracts to procure services or supplies until the Federal Acquisition Streamlining Act (FASA) of 1994, noting the value of multiple award contracts. Additionally the court system determined that IDIQ contracts were applicable to construction and architect-engineering services, provided the selection of contractors and placement of orders are consistent with the Federal Acquisition Regulation Part 36. Multiple forms of both multiple and single award construction IDIQ contracts are available as well as software to enable rapid implementation and consistent deployment. Examples of multiple awards are multiple award construction contracts (MACC) and multiple award task order contracts (MATOC). Single awards include job order contracts / job order contracting (JOC) and simplified acquisition of base engineer requirements (SABER). SABER is the US Air Force implementation of JOC. Multiple awards result in individual job tasks for which all awardees compete and are negotiated and priced per the specific requirement. Single awards and multiple awards are typically priced using detailed line item cost estimating provided specific to the IDIQ. Commercial, industry standard unit price books may be use, such as RSMeans Cost Books or “custom” IDIQ price books. Both may be referred to a Unit Price Book (UPB), or an IDIQ price book/guide. 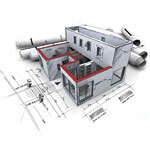 It is important that both the Owner and the Contractor have unit line item cost estimating capability. It is generally regarded as “best practice” and may even be a regulatory requirement that the Owner does their own internal estimate (sometimes referred to as an Independent Government Estimate – IGE). Some Owners for specific forms of IDIQ, such as JOC for example, may elect to “outsource” or subcontract the JOC program to a third party for a fee (typically a percentage of the overall JOC program annually). In this instance the third party acts as an “owner’s agent” and works with the Contractors directly, vs. Owner “hands-on” participation. The latter is not recommend, nor consistent with “pure” JOC program implementation. It may however be the only option for Owners with limited technical estimating and/or project/program management capabilities. Additionally, multiple awards are forms of design-build for complex projects, typically $750,000 to $5 million. Single awards involve minimum design for non-complex projects that typically range from $2,000 to $750,000. However multi-year JOC/SABER programs can easily exceed $300 million. Many JOC/SABER and IDIQ contacts involve a base year and three or four year options. This means that the owner/contractor relationship is long term, with no need to re-solicit for five years, a potential benefit for all parties. Construction IDIQ contracts provide a streamlined means to complete projects with benefits for both the government ‘/ public agency (DOD, non-DOD Federal Government, State/County/Local Government, Airports, Education, Healthcare, and the commercial business (Contractor/AE). 1. 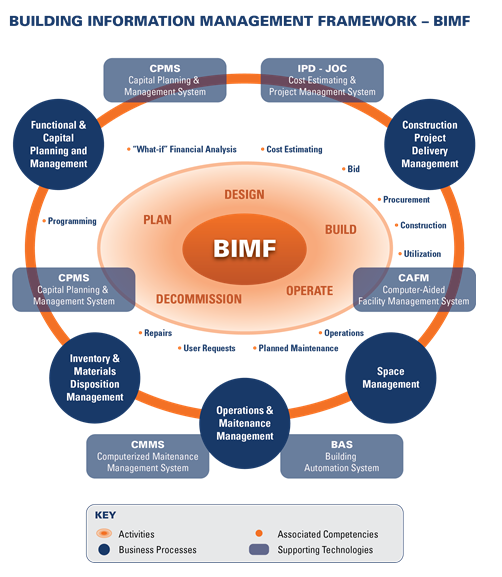 Link built environment to organizational mission and efficiently manage all physical and functional aspects. 2. Move from being 80% Reactive 20% Preventative to 80% Preventative 20% Reactive (or less)… and reduce overall cost and environmental impact. Always remember – “You can’t manage what you don’t measure”. 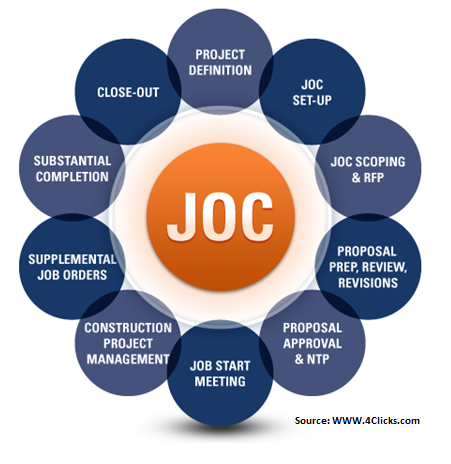 via www.4Clicks.com – Premier cost estimating and integrated project delivery software for Job Order Contracting – JOC, SABER, IDIQ, SATOC, MATOC, MACC, POCA, BOA. Featuring exclusively enhanced 400,000 line itme RSMeans Cost Data and/or custom cost information. Unfortunately it is a present fact that Capitol Hill has let the Country down. Republicans, Democrats… it doesn’t matter… the sole clear focus of the Senate and Congress is upon self interest, party politics vs. doing their duty… serving the Country and the People. One of the several roles of government is to maintain, preserve, and help to manage our buildings, roadways, bridges, and utility systems. Due to the shear scope involved, Federal, State, County, and Local Governments must collaborate to simply plan for and fund the immense costs of managing the built environment. It likely that more that 2.2 trillion dollars (American Society of Civil Engineers reports) is needed to bring current infrastructure up to date… and this figure is likely understated. What better way is there to actually grow our economy and secure our future than to invest here? Furthermore the costs of not doing this work range from nearly $100 billion dollars in increase motor vehicle costs due to poor roadway systems, continued pollution and energy depletion from outdated building systems. Unless we act now to make the investments we need, jobs and wealth will move away from the United States at an ever-increasing pace, wages here will be depressed at an even greater rate, and the social strain on families and communities will increase. Furthermore, from a global competitiveness perspective, virtually every other nation is moving faster than the U.S. relative to infrastructure investment. On the other side of the equation, our construction sector remains unproductive and rampant with waste due to antagonistic and out dated construction project delivery methods. Design-bid-build does little but fund greed and fill our courtrooms. Even “newer methods” such as design-build, are only partial solutions. 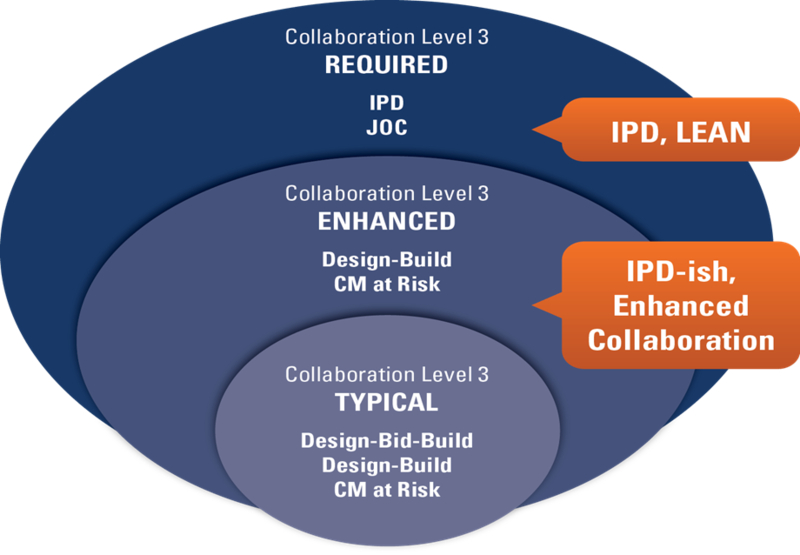 Integrated project delivery (IPD) and job order contracting (JOC) are examples of proven construction delivery methods that focus upon collaboration, transparency, and performance. These types of processes should be mandated and enhanced. 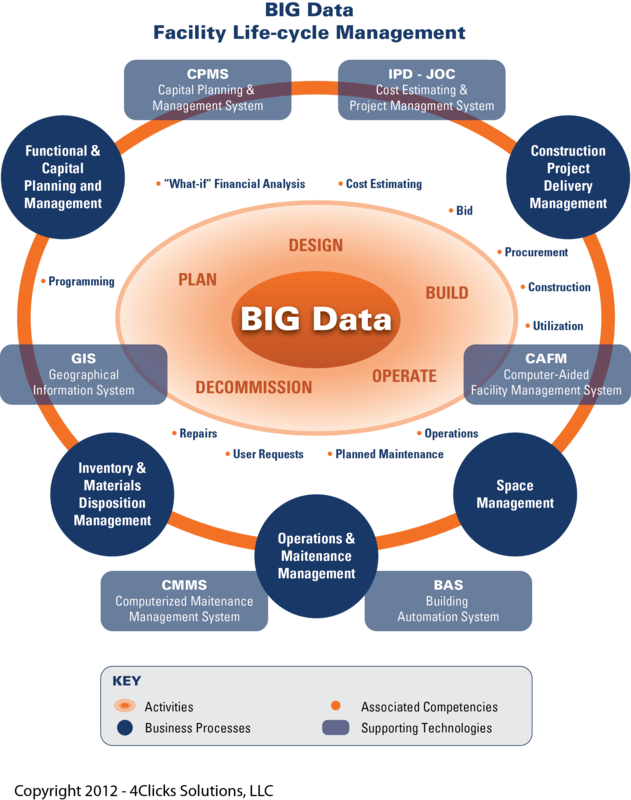 via http://www.4Clicks.com – Premier software for cost estimating and efficient project delivery – JOC, SABER, IDIQ, IPD, SATOC, MATOC, MACC, POCA, BOA. 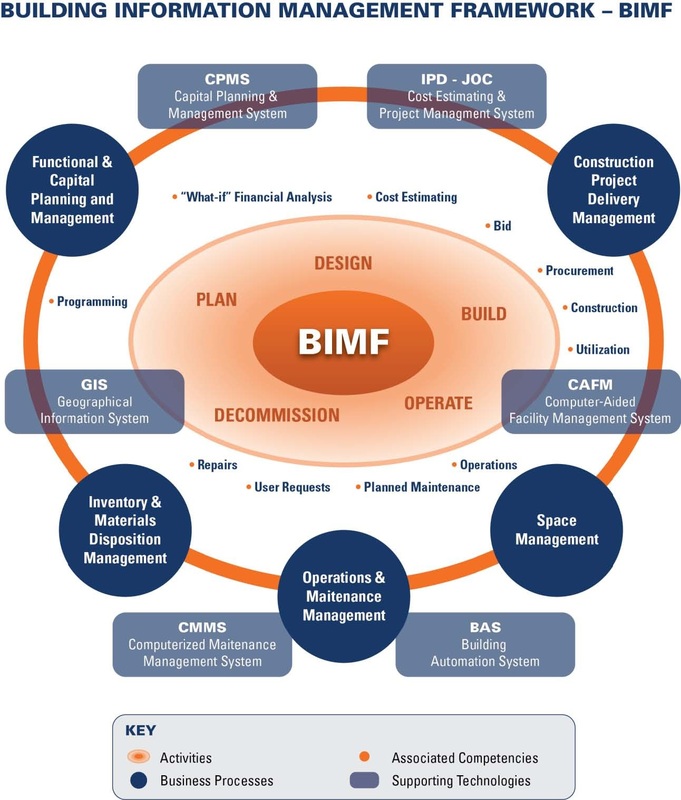 Construction cost estimating, and facility life-cycle cost estimating are critical components of any facility design, project delivery, repair, renovation, sustainability, or planning function. 2. Transparency – Appropriate access to cost information, and associated comparison to published independent third-party costs such as RSMeans Cost Data. 3. Consistent Format and Terminology – Use of a standard set of terms and data architectures such as Uniformat, Masterformat, Omniclass. 6. Appropriate level of technology to assure productivity, collaboration, security, audit trail. 7. Robust Process – The application of a robust process and business “best-practices” with a focus upon continuous improvement. 8. Appropriate knowledge of all “levels” of construction cost estimating and their potential accuracy – Square Foot / Conceptual / Building Level Construction Cost Estimating, Assembly / System Level Construction Cost Estimating, Unit Line Item Construction Cost Estimating.